Once you have confirmed your caregiving commitment– whether for a new child or an adult relative–there are a number of issues to consider, from how you want to take parental or family leave to what health insurance plan you will choose for yourself and your dependent to whether you hope to breastfeed and where to do so on campus. 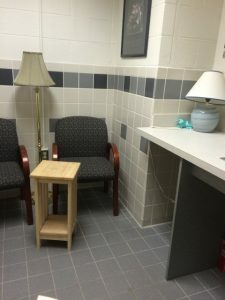 This page provides information about a range of health insurance options and about policies and resources for breastfeeding, including the locations of lactation rooms across campus. PLANNING FOR PARENTAL LEAVE – HR Lunch & Learn! Registering online for this class NO LONGER creates an automatic email notification to your supervisor. UNC’s Environment, Health and Safety (EHS) Department offers the Conceptus Protection Program to help laboratory employees who are contemplating or have determined pregnancy reduce or eliminate their exposure to reproductive hazards. These hazards include radioactive materials, certain microbiological agents, and chemicals considered to be carcinogenic, mutagenic (chromosomal damage), and teratogenic (fetal malformation). Following written or e-mail notice of pregnancy or intended pregnancy to EHS Director, Biological Safety Officer, Chemical Hygiene Officer, or Radiation Safety Officer (RSO), EHS institutes a Conceptus Protection Program (CPP). The CPP consists of three elements. Conferences include the employee, her supervisor, and EHS specialists. The employee is provided a copy of this policy and other pertinent literature on protecting pregnant employees from chemical, biological and radiological exposures. Following the conference, EHS sends an assessment report to the employee and supervisor relating findings and recommendations of work involving hazardous materials. In some cases, adjustments should be made in work responsibilities, if practicable, to avoid higher risk operations. An additional interview is available with an occupational health nurse or physician at the University Employee Occupational Health Clinic. This interview allows the employee to express concerns and to ask questions about reproductive and developmental health. A review of an occupational and reproductive health questionnaire facilitates collection of employee-specific information, assists the employee in formulating concerns about chemical and physical hazards, and provides structure and focus for the interview. A preconception planning stage is also available. Obstetric specialists are available for consultation or referral for any specific concerns. EHS understands that employees may choose to maintain their pregnancy status as personally confidential for a time. Any employee may still receive safety information about pregnancy and chemical, biological, and radiological exposures at any time from EHS without declaring her pregnancy status. EHS will conduct a review of the laboratory or worksite safety plan to ensure that it provides appropriate guidance to protect workers and prevent occupational exposures. EHS inspects the work place to ensure that adequate engineering controls, such as laboratory hoods, are provided, and that safe handling procedures and the use of personal protective equipment are in place. Employees have the responsibility of adhering to University safety procedures described in the Laboratory (or worksite) Safety Plan, the Health and Safety Manual, Laboratory Safety Manual, Biological Safety Manual and the Radiation Safety Manual. EHS will monitor employee exposures levels for radiation and any chemicals of concern, especially those with evidence of reproductive toxicity. The employee and principal investigator, or supervisor, shall receive a copy of the monitoring report. The goal is to keep all exposures as low as reasonably achievable.EHS performs the personnel radiation monitoring through the Radiation Safety section. EHS assigns the radiation employee a monthly radiation badge and/or places her on a monthly bioassay program. In order to initiate the process, please call EHS at 919-962-5507, mention the Conceptus Program, and you will be promptly assisted. For more information, please visit https://ehs.unc.edu/manuals/laboratory/chapter-8/. The Parking and Transportation unit offers several important accommodations for pregnant women. Pregnant women can apply for a temporary disability parking pass with medical documentation of a qualifying condition. These accommodations can also include use of the Point-to-Point (P2P) service for moving around campus. Contingent upon availability, Parking and Transportation might be able to temporarily relocate a parking space closer to your work location; you will have to pay any difference in cost of parking permits. International students, faculty, and staff should consult the Office of International Student and Scholar Services about requirements and procedures for establishing a new child’s nationality. 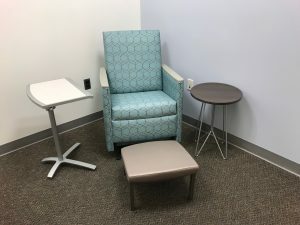 Campus Health Services: For students, Campus Health Services offers some pregnancy care, including pregnancy testing and prenatal counseling, but it no longer offers obstetrics care. CHS will provide referrals to several UNC Hospitals departments (Obstetrics, Gynecology, Family Medicine), which accept all student and postdoctoral plans as well as many plans offered through the Marketplace and Medicaid. These plans are also accepted at many other area facilities. Birth Partners UNC Volunteer Doula Service Program provides trained volunteer doulas for women giving birth at UNC Women’s Hospital. Women can request a volunteer doula as part of their birth plan or when they arrive at the hospital for delivery, although the program cannot guarantee that a doula will be available. Spanish-speaking doulas are available. Please contact doula[at]unch.unc.edu for more information. Durham Connects “provides in-home nurse visits free of charge to ALL parents of newborns in Durham County, NC.” (The only eligibility requirement is that the family live in Durham county.) The nurse provides a postpartum screening of mother and child and may refer the family to additional resources (e.g., lactation consultant, social services, financial support resources). Sign up for a visit through the website or by calling (919) 385-0777. Student Blue undergraduate BCBSNC plan for the student; Student Blue does not allow participants to add dependent coverage. Students will have to buy coverage for their dependents through the Marketplace or another private vendor. Affordable Care Act Marketplace: The ACA Marketplace provides access to subsidized health insurance from a number of North Carolina providers. Depending on income and family size, you might be eligible for substantial tax credits for your coverage. Under the ACA, “maternity care and childbirth … are an essential health benefit” and are therefore covered under almost all plans available through the Marketplace. Having a baby also qualifies as a Special Enrollment Period or major life event, meaning you can sign up for coverage outside of the open enrollment window. The Marketplace also offers plans covering dependents. NCHC: lives in NC, age 6-18, has no comprehensive private insurance, does not qualify for Medicaid or other state or federal programs. You can apply online or in person at the Department of Social Services for your county of residence. Many women struggle with depression and other challenges following pregnancy. UNC’s School of Medicine Department of Psychiatry, in the Center for Women’s Mood Disorders, conducts research about and offers treatment for postpartum depression, including a free postpartum depression support group and website of resources. 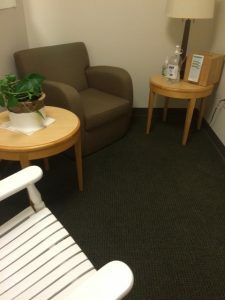 It includes outpatient clinics staffed by perinatal Psychiatrists, NPs, and PhDs who offer medication management and psychotherapy tailored to the needs of women who are pregnant or postpartum. UNC also has the only Perinatal Psychiatry Inpatient Unit in the entire country. The university adopted a Lactation Support Policy in 2010, which you can read here. In short, the University (via individual supervisors) must provide appropriate space and allow adequate break time to women choosing to breastfeed, for one year after the birth of the infant. The Lactation Toolkit provides more information about the policy, how to implement it, and what meets university and federal guidelines for a designated lactation space. It also includes suggestions for how supervisors and nursing mothers can address the issue with supervisors, colleagues, and others. For support working with your supervisor to accommodate lactation, please contact the Women’s Center or your HR representative. This handout identifies UNC’s minimum requirements to qualify as a lactation space. It is important to know that federal law specifically states that a bathroom is NOT a suitable private space for lactation. Faculty and staff enrolled in the NC State Health Plan have the opportunity to apply up to a 40% discount on the purchase of a breast pump through Edgepark medical supply company. Edgepark will ask for a doctor’s authorization and due date, but they carry several brands including Medela and Ameda, and possibly others. Find out more information by visiting Edgepark medical supply company website or calling 1-800-321-0591. However, under the Affordable Care Act, all health insurance plans except “grandfathered” plans must cover breast pumps, either through rental or purchase. All of UNC’s health plans, except the Basic 70/30 plan, comply with ACA guidelines. Carolina BEBES is a student group in the School of Public Health dedicated to learning more about birth and breastfeeding and to advocating for supportive breastfeeding practices on campus, locally, nationally and globally. The Carolina Global Breastfeeding Initiative in the Maternal and Child Health Department of the School of Public Health furthers statewide, national, and global health through increased understanding and support for optimal infant and young child feeding in relation to maternal and child health. UNC Hospital’s Lactation Services has board-certified lactation consultants on staff seven days a week. Call the Breastfeeding Warmline at 984.974.8078. Contact La Leche League or attend one of their regular meetings. You can find information and schedules for La Leche League of Chapel Hill here, or consult the La Leche League of North Carolina website for additional groups and locations. The North Carolina Breastfeeding Coalition hosts ZipMilk, a nifty database of breastfeeding resources based on ZIP code. Use this to find the local support you need! A new app called latchME helps women find breastfeeding resources nearby. Click here fore more information. 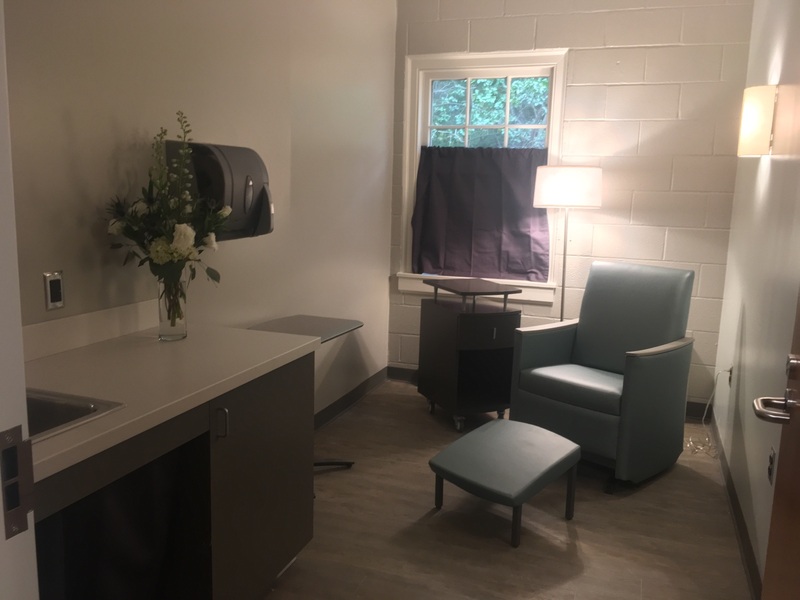 The Women’s Birth and Wellness Center (not affiliated with UNC) offers lactation consultations, classes, and support groups. They also offer parenting classes. For bereaved or surrogate mothers, WakeMed accepts donations of breastmilk to its Mother’s Milk Bank, which provides breastmilk to premature newborns in North Carolina and on the East Coast. If your building does not have an easily accessible lactation room, please contact us (lactation[at]unc.edu), and we will be happy to work with you and your building manager to address this need. Available 6am-6pm. Access via Med School Photo ID office (041 MacNider Hall, 919.843.3787). Sink available in the room. Available during building hours. For employee or student OneCard access, please email lactation[at]unc.edu. For guest access during business hours, please contact Beth Mayo (149 Sitterson Hall; 919-590-6100). 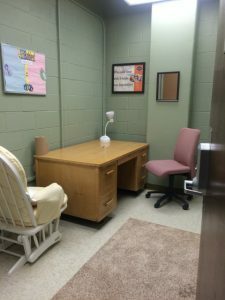 These rooms are available to faculty, staff, and students working in Carolina Square and visitors to Carolina Square for trainings or meetings. They are not available to the general public. Visitors to Carolina Population Center (CPC, 2nd floor) should contact Donna Parks (dbparks@unc.edu, 919.962-5907/ 919.616.2943, Rm 2165-E). Visitors to Epidemiology (EPID, 3rd floor) should see Nancy Culberson (nancyc@email.unc.edu, 919.445.0819). Visitors to Collaborative Studies Coordinating Center (CSCC, 4th floor) should see Erica Atkins at the reception desk. Rocking chair and baby changing station available in the room. Building open 24 hrs a day. For employee or student OneCard access, please email lactation[at]unc.edu. For guest access during business hours, please see Sam Deal (Room 313; 919.966.1698). 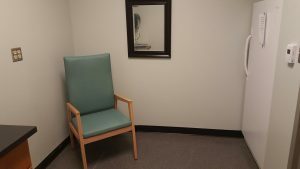 Convenience room (not an official lactation room). Available during business hours. Contact 919.843.7720. Available during building hours. For access, please see staff at reception desk. Available during building hours and special events. For employee or student OneCard access, please email lactation[at]unc.edu. For guest access during business hours, please see the welcome desk or your host in the unit you are visiting; during after hours event, please see the event host. Contact: School of Dentistry Academic Affairs to receive access code, 919.537.3347. Available during business hours and events. Request access at building information desk. Available during building hours. For employee or student OneCard access, please email lactation[at]unc.edu. For guest access during business hours, please contact lactation[at]unc.edu. Available during building hours. For employee or student OneCard access, please email lactation[at]unc.edu. For guest access during business hours, please request key from Robyn Narvesen in suite 102E (919.962.0761). Available during building hours (M-F 9-5) and events. For employee or student OneCard access, please email lactation[at]unc.edu. For guest access during business hours, please request key from room 105. During after hours events, please see the event host. Privacy curtain in front of door. Unlocked (unless in use) during business hours, until 4pm. To access the lactation room after 4pm, contact your Program Director ahead of time to request a key. You may check the key out while you need the lactation room. Full size fridge, sink, and changing station. Available 6am-6pm; access via Med School Photo ID office (041 MacNider Hall, 919.843.3787). Sink and refrigerator available in the room. This room is available to faculty, staff, and students working in Development and visitors to Development. It is not available to the general public. Building open 7am-7pm. Contact Amy Alves (919.843.7872, amy.alves@unc.edu) or Brent Wishart (919.260.4819, brent_wishart@unc.edu) for access. You can also request an access code at this link. Convenience room. Available 9am-5pm. Call 919.962.8305 for details. Available during store hours (M-F 7:30am-8pm, SS 10am-5pm). For employee or student OneCard access, please email lactation[at]unc.edu. For guest access, please see the on-duty manager. Sink in the room, and fridge available in the Center. Sink and baby changing station available in the room.